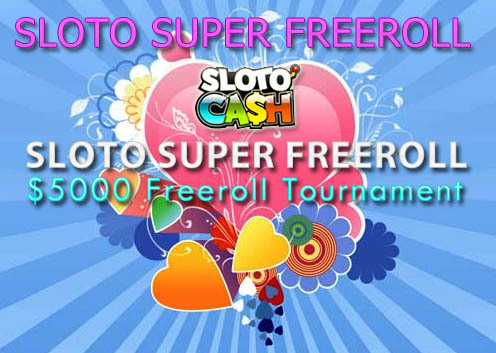 Starting today at SlotoCash Casino is the spectacular $5000 Freeroll slots tournament. Entry is free and the tournament features Real Time Gaming's Pay Dirt Slot. This tournament runs: 14-Feb to 12-Mar. Don't forget that new players at SlotoCash get our $31 FREE No deposit bonus and there's 500% up to $5000 free for depositing players.